"...perhaps the project's most daunting challenges are the potential impacts on the neighborhoods it would traverse. [Metro project manager Kathleen McCune] said that rail line has more than 100 "at grade" street crossings, which many mass transit critics argue are safety hazards." In fact, transit activist Damien Goodmon made an appearance at the scoping meeting where he stated that the rail line shouldn't go through neighborhoods but should follow the 110 freeway instead. 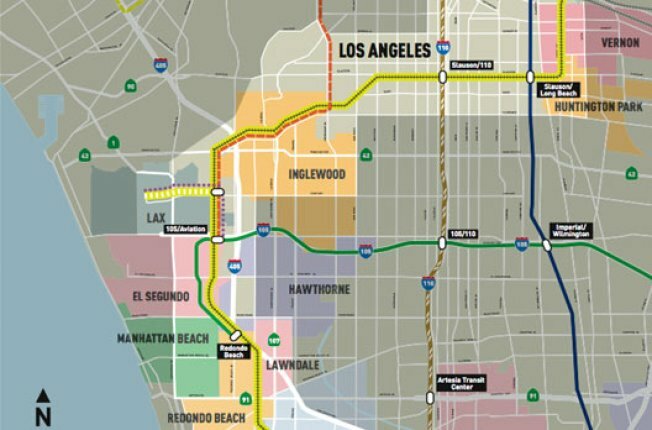 Metro is planning further meetings on the 26-mile corridor in February.